The APC caucus came close to losing its majority in the House in July shortly before the National Assembly commenced its annual recess. For how long would the All Progressives Congress (APC) maintain its majority status in the House of Representatives? In the last couple of weeks, the fortunes of the ruling party in the Green Chamber have been on a free fall as lawmakers elected on its platform continue their migration to other political parties. The APC caucus came close to losing its majority in the House in July shortly before the National Assembly commenced its annual recess. In one swoop, 37 members of the party defected to other political parties, with the opposition Peoples Democratic Party (PDP) harvesting 32 of the defectors. The defection was a fallout of the crisis among leaders of the party, which led to some aggrieved party leaders forming a splinter group, Reformed All Progressives Congress (R-APC). Stunned by the development, the House leader, Femi Gbajabiamila said the APC caucus would advice the ruling party to challenge the defections in court, citing Section 68(g) of the constitution, which prescribes the circumstances under which a member of the legislature could lose his or her seat in the parliament. â€œWhen people elect you on a particular platform to represent them, that seat does not belong to you. That seat belongs to your constituency. So, it is important that this position is stated clearly and that we put it to rest. â€œThe meaning of division has been clearly stated by the Supreme Court and the so called R-APC that everybody is chanting did not fall within the interpretation of the Supreme Court, therefore we would be encouraging the party to take the necessary steps, not because we are against the members, but so that we can further entrench democracy,â€ he told journalists. A crestfallen Gbajabiamila, said the defections, notwithstanding, the APC still maintains a comfortable majority in the lower chamber of the National Assembly. â€œI want to say that in spite of the movement of about 36 members, 4 of whom went to ADC in Oyo State and the remainder 32 to PDP, and one resignation thereafter without a party yet, I want to say that not only does APC remains majority in the House, APC is actually in clear, overwhelming majority. I want to believe that those who wanted to defect were looking for about 60 members and they got half which leaves the APC over and beyond what is required for majority, he added. However, one of the defectors, Aliyu Madaki, who insisted that there is crisis in the APC said the defections, is just a tip of the iceberg in the exit of lawmakers from the ruling party. He said the ruling party has already lost its majority status to the PDP. True to the words of Madaki, things have continued to fall apart in the ruling party caucus, as the exodus out of the party has continued. 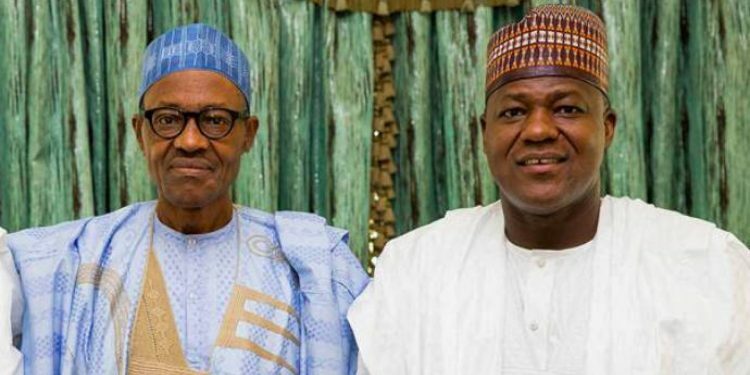 From July, when the first batch of defectors left the APC, to date, no fewer than 10 other federal lawmakers, including the Speaker, Yakubu Dogara, have dumped the party. Apart from Dogara, many of those who defected recently are those who felt short-changed with the outcome of the nomination exercise in the party. The outcome of the APC primaries for the 2019 general election had generated so much controversy, with many of the APC members who lost out in their quest to return to the House in 2019 on the platform of the ruling party, threatening to leave, if they are not given ticket. According to a member of the House from Kaduna State, Musa Soba, no fewer than 70 members of the APC in the House lost out in their bid to contest the 2019 general election on the platform of the ruling party. Although, when the 37 House of Representatives members, as well as 14 senators, defected from the ruling party in July, the National Chairman, Comrade Adams Oshiomhole said the party is not bothered about their exit, both the presidency and the APC leadership know the implication of many more of its members leaving the party. Consequently, they have been engaging the aggrieved lawmakers, so as to forestall their exit from the ruling party. The APC National Publicity Secretary, Mallam Lanre Issa-Onilu told a national daily recently that the party has been reaching out to the aggrieved lawmakers. He said â€œImmediately after the primaries we started reaching out to our aggrieved members. Everywhere we have such issues; the party is rising up to it. We do understand that conflicts are a necessary part of politics and it is the ability to reconcile people, ensure that people who disagree are brought to a roundtable and given an opportunity to first and foremost lay bare whatever the grudges are. â€œAnd that you can get people to listen to you, is the first comfort you can get from your party. The APC has a structure to listen to anybody who has an issue and everyone will be given an opportunity. As party members, the greater good is our ultimate goal,â€ Issa-Onilu stated. Soba, who represents Soba Federal Constituency of Kaduna State told State House correspondents after a recent meeting between President Muhammadu Buhari and APC lawmakers who are aggrieved over their lose at the primary, that the party nomination was characterised by impunity. He said the aggrieved lawmakers appealed to the President to use his good offices to address the situation before it was too late. Ironically, the lawmaker announced his defection from the ruling party penultimate Wednesday. In a lengthy letter to the Speaker announcing his defection from the APC, the lawmaker accused the party of engaging in double standard in the conduct of its affairs. â€œMr Speaker, I have been personally short-changed by a system I so much trusted and believed in. I have also been serially deceived and defrauded by a political party I helped to nurture and sustain. However, it is the sharp division within the APC members and the mutual antagonism between the membership and the leadership of the APC more than any other factor that propelled me to take my exit,â€ he stated in his letter, which was read at the plenary. Analysts say Sobaâ€™s defection from the APC is an indication that the fence mending meeting between the aggrieved lawmakers and the President did not produce the required result. What this means is that more APC lawmakers may be on their way out of the party. PDP moved up numerically from 128 to about 160. The remaining seats are shared among the All Progressives Grand Alliance (APGA) , the African Democratic Congress (ADC) , Social Democratic Party (SDP) , Accord Party and the United Progressive Party (UPP). Regardless, Gbajabiamila is insisting that what is happening in the APC is not unusual, especially during elections. The House leader expressed optimism that the party would be able to manage it effectively. in search of a ticket. I believe that is the bottom line here and that is very unfortunate,â€ he noted. Gbajabiamila is right. What is happening in the APC caucus is not completely new. Same scenario played out in the 7th Assembly, which led to the PDP losing its majority status to the then newly formed APC, after over 30 of its members, including the then Speaker, Aminu Tambuwal, who is now the Sokoto State governor, left the party. In 2013, following disagreements within the PDP, five governors elected on its platform and some prominent figures within party, had formed a splinter group which they christened the new PDP. That group was to later collaborate with other parties to form the APC in 2014, after which their members in the House, as well as in the Senate, dumped the then ruling party. Like Soba, there are several other lawmakers in the House, who feel short-changed by the party during the nomination exercise. Many of these aggrieved members, Daily Sun gathered, are waiting for the expiration of the window to see if the APC would give them ticket to contest the 2019 election, before they decide on their next line of action. According to the Independent National Electoral Commission (INEC) time table for the 2019 general election, the window for the substitution of candidates for the presidential and National Assembly elections will close on November 18. Analysts say whether or not the APC would continue to maintain its status as the majority party in the House of Representatives will depend on how many of the aggrieved members it is able to give ticket for the 2019 poll, or how many of them the party is able to pacify, to remain in the party without a ticket for 2019.